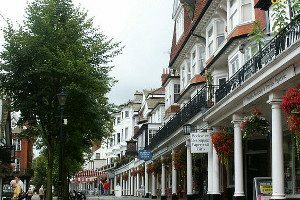 Tunbridge Wells is a large town in western Kent, England. Famous landmarks include The Pantiles, a Georgian colonnade, and Chalybeate spring, a source of mineral spring waters. Tunbridge Wells is well connected by a hub of roads, in particular the A26, A264, A267 and A21. Tunbridge Wells has two railway stations: Tunbridge Wells station and High Brooms station. Lanes School of Driving was founded in 1914. Lanes is responsible for teaching generations of locals how to drive. From small beginnings, Lanes has developed to become one of the largest driving schools in the UK. Lanes is well known for its high standards of excellence in driving instruction, drawing upon years of experience. Lanes take care to tailor each lesson to the needs of each student. Lanes is aware that students lead busy lives. Accordingly lessons can be arranged to fit around students’ timetables. Lanes is committed in allowing learning to progress at the pace of each student. Lanes is notable in offering one-to-one tuition in order that students can learn without facing distractions from others in the back seat. Lanes has an array of modern vehicles with the very latest in technology. We are committed to providing students with the optimum learning environment. Lanes can also collect students from their front door step on request. Lanes have been providing driving lessons in Tunbridge Wells for many years. Please call us today on 020 8166 5678 or click here to send us an email via the contact page. Lanes has a team of dedicated instructors who are highly qualified and experienced. All our drivers are DSA Approved Driving instructors. A large number of our instructors actually trained with us at the beginning of our careers. We understand the importance of the instructor-student relationship and to this end we ensure that each student keeps the same instructor for every lesson. We do this to ensure each instructor is thoroughly familiar with the needs of their student. Lanes have a team of driving instructors in Tunbridge Wells, Kent. Please call us today on 020 8166 5678 or click here to send us an email via the contact page. Learning to drive can be nerve wracking and students can be very self-conscious. Some of our female students feel uncomfortable when presented with a male instructor. Therefore we allow our female students the option to choose from one of our many female driving instructors. Our female driving instructors are all very friendly and patient. They will not make the students feel pressurised. Our female students love their female instructors and they often progress faster too. Lanes have a selection of female driving instructors in Tunbridge Wells, Kent. Please call us today on 020 8166 5678 or click here to send us an email via the contact page. It is quite common for Lanes’ students to tell us that they prefer to learn in an automatic car rather than a manual car. It is certainly true that manual cars allow greater control. However automatic cars are less intimidating when learning to drive. Stalling their cars is a big problem with beginner driver. Fortunately it is impossible to stall an automatic car. Automatic cars facilitate a more gentle learning experience for the beginner allowing smooth progress. Lanes have a selection of automatic driving instructors in Tunbridge Wells, Kent. Please call us today on 020 8166 5678 or click here to send us an email via the contact page.